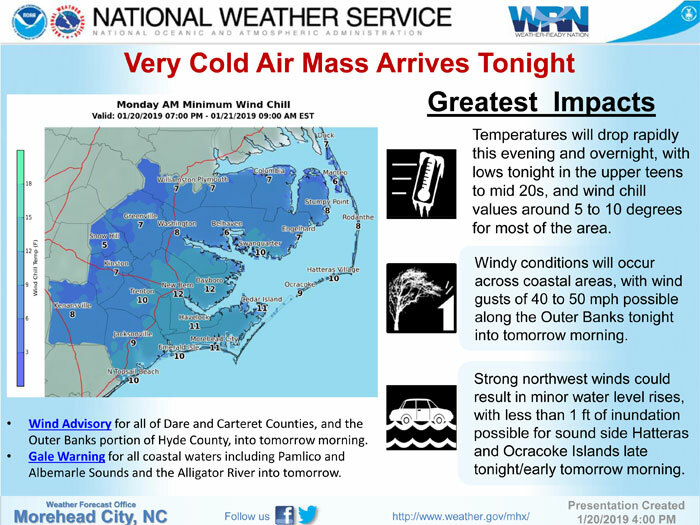 A strong cold front crossing the Outer Banks will usher in windy conditions and the coldest air mass of the 2018 / 2019 winter season beginning on Sunday night. 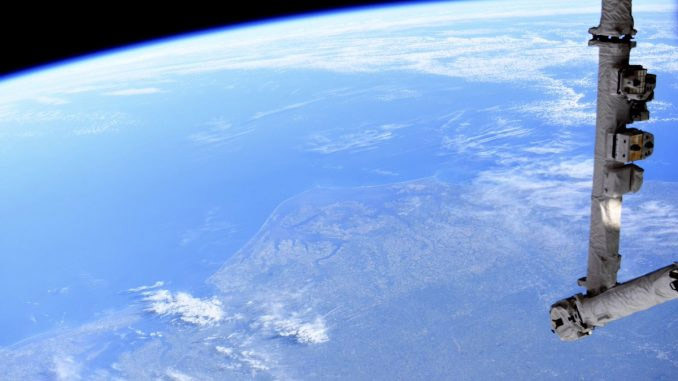 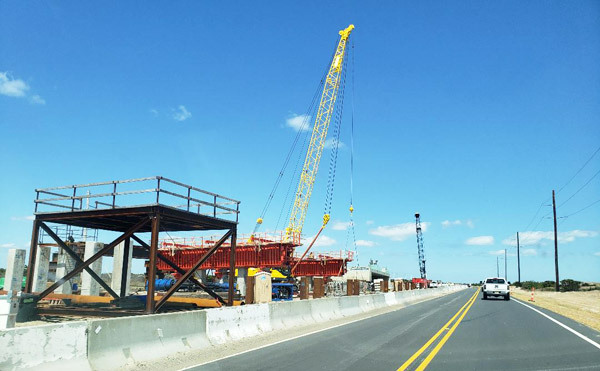 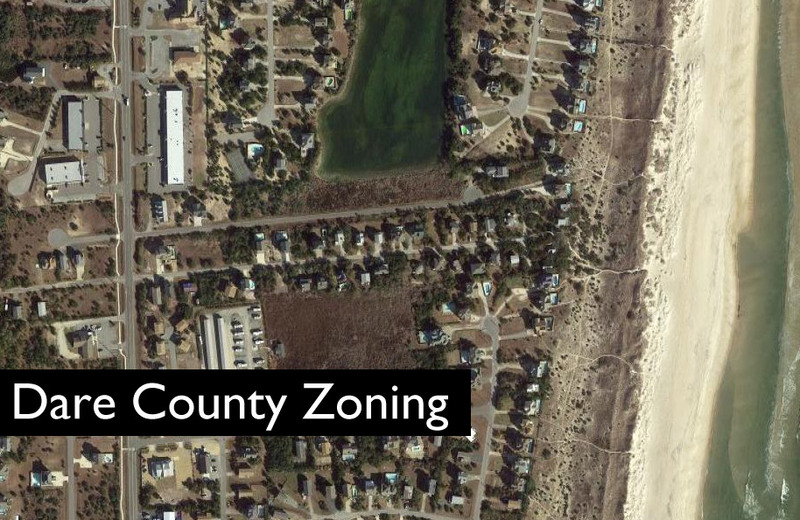 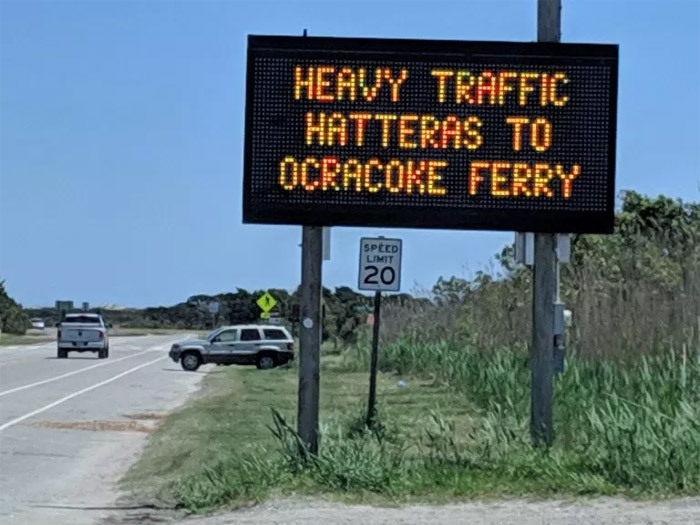 Temperatures are forecast to drop rapidly on Sunday evening and throughout the night, with lows in the upper teens and mid-20s, and wind chills of around 5 to 10 degrees on Monday morning for Ocracoke and Hatteras Islands. 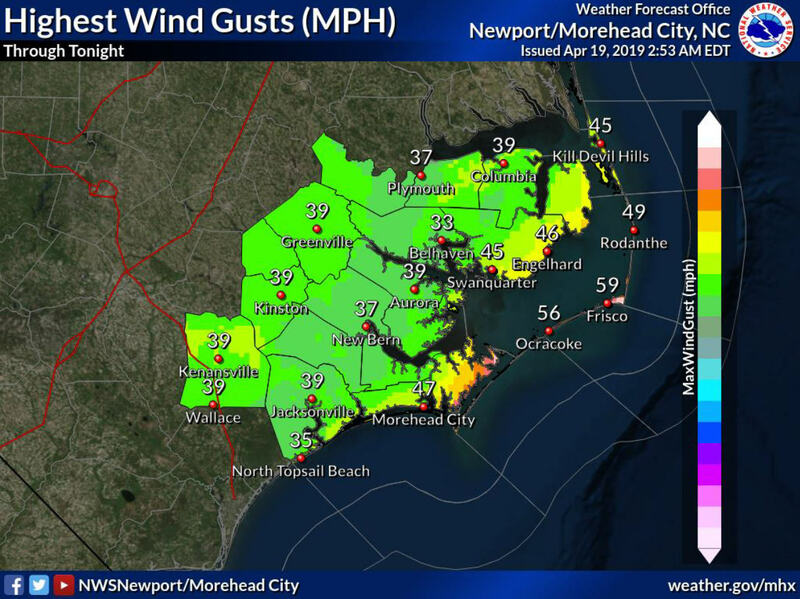 Strong winds will also accompany the cold temperatures, with wind gusts up to 40 or 50 mph possible along the Outer Banks beginning Sunday night and continuing through Monday morning. 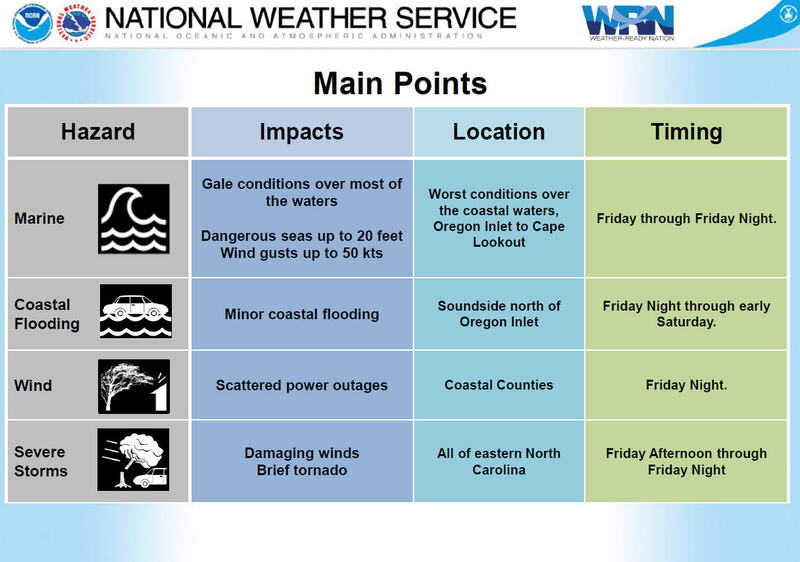 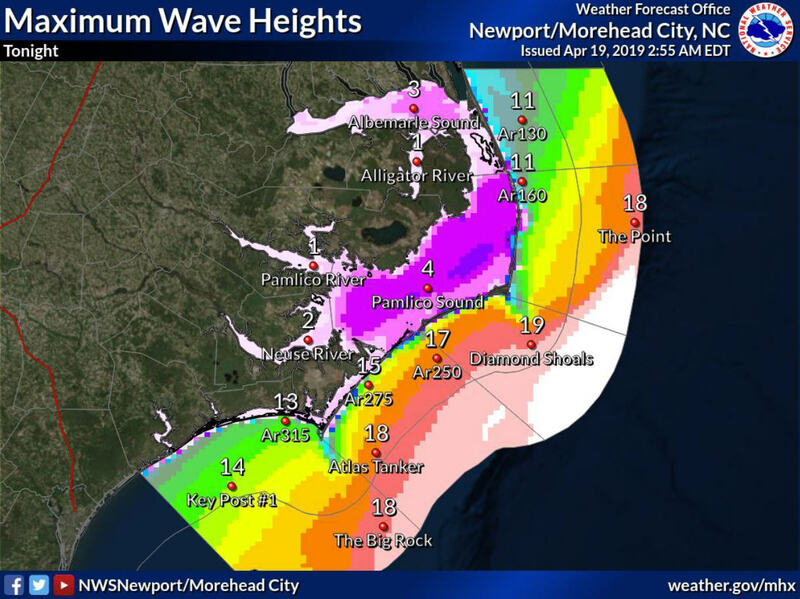 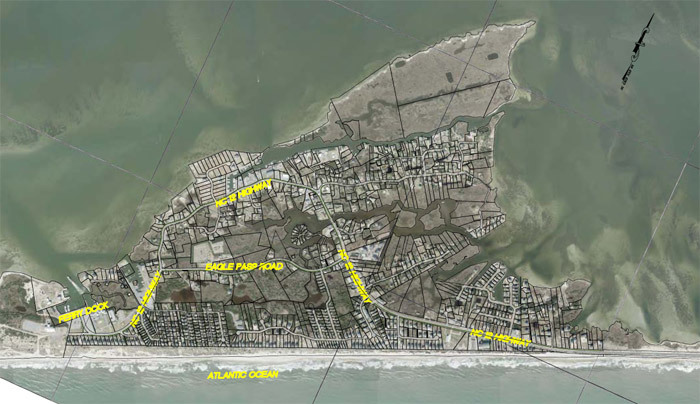 The strong northeast winds could result in minor water level rises, with less than a foot of soundside inundation possible for Ocracoke and Hatteras Islands late Sunday night and very early Monday morning. 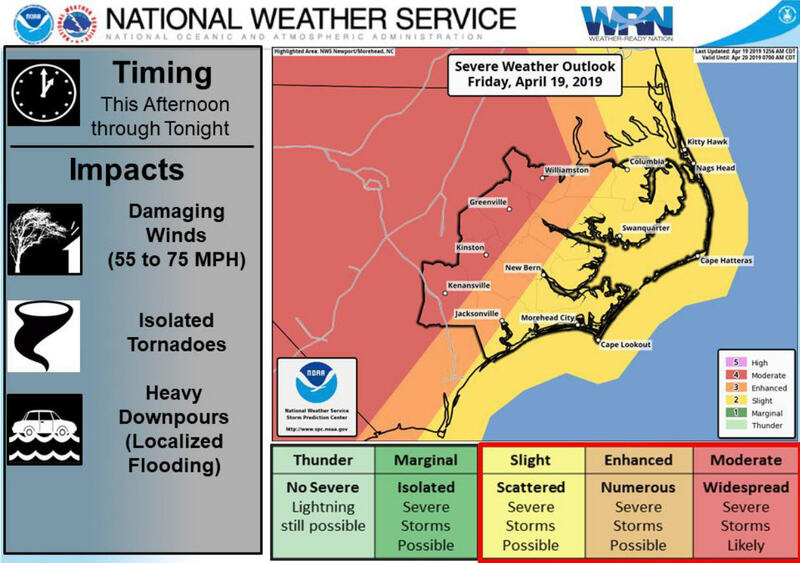 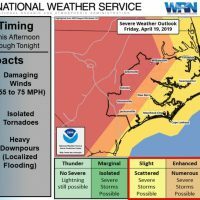 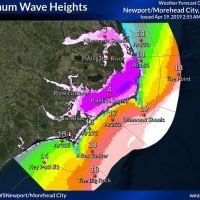 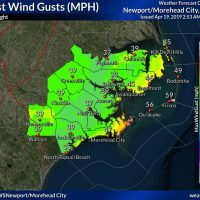 A Wind Advisory has been issued for all of Dare County and a portion of Hyde County through Monday, and a Gale Warning has been issued for all regional coastal waters, including the Pamlico Sound.